﻿ Solbaram Punggyungsori Pension, Jeju Island | FROM $82 - SAVE ON AGODA! Have a question for Solbaram Punggyungsori Pension? 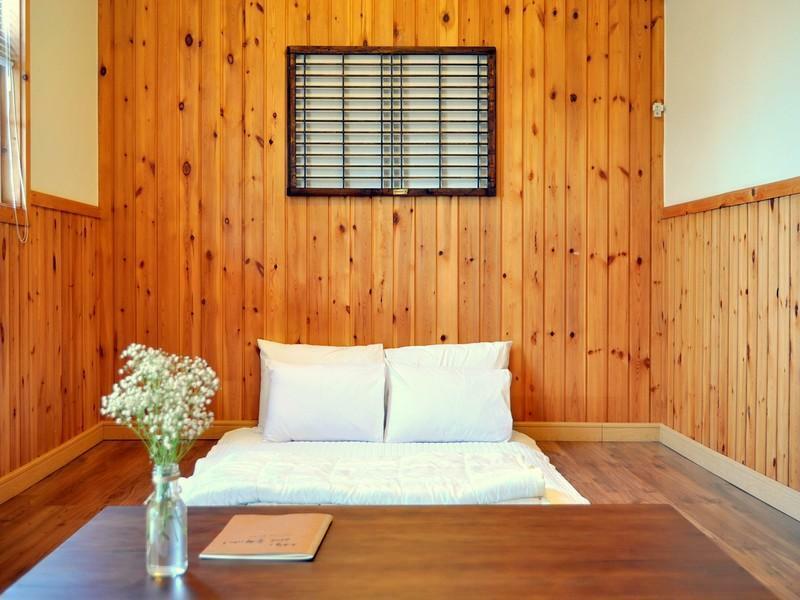 Designed for both business and leisure travel, Solbaram Punggyungsori Pension is ideally situated in Seongsan; one of the city's most popular locales. Only 15km from the city center, the hotel's strategic location ensures that guests can quickly and easily reach many local points of interest. With its convenient location, the hotel offers easy access to the city's must-see destinations. Solbaram Punggyungsori Pension offers impeccable service and all the essential amenities to invigorate travelers. Top features of the hotel include free Wi-Fi in all rooms, luggage storage, Wi-Fi in public areas, car park, BBQ facilities. Step into one of 10 inviting rooms and escape the stresses of the day with a wide range of amenities such as internet access – wireless (complimentary), air conditioning, heating, balcony/terrace, blackout curtains which can be found in some rooms. Besides, the hotel's host of recreational offerings ensures you have plenty to do during your stay. 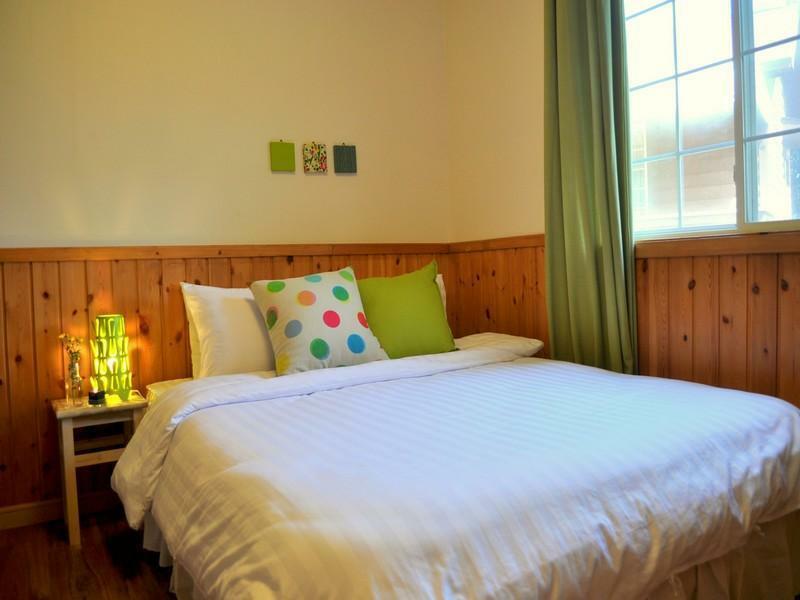 Whatever your purpose of visit, Solbaram Punggyungsori Pension is an excellent choice for your stay in Jeju Island. Strongly suggest go in Spring, as the environment and the garden is nice, with many flowers over there. Location is not good, luckily have GPS and we rented a car so that's ok to us. Room are big, and can live with 4 to 6 people. But no breakfast is provided, and besides no much restaurant, so better buy some food for your breakfast. Kitchen is provided so you can cook and this is quite good. One thing need complaint as we booked the hotel for 2 nights, they don't even clean up the room or ask any room service on second day. That's quite surprise for us as comparing with other hotel in Jeju. Price is just average but for me I will not go again as I think in jeju there are more better guesthouse for visit. Everything is great except a little bit difficult to locate this place. Will definitely come back again and recommend this pension to my friends. This hotel is a wonderful place for people seeking for a quiet place to relax. I love this location as it's very peaceful. Room is clean too. Will definitely come back again. Is great to stay here, nice environment. But is hard to reach here. Pension is nice and the surrounding is beautiful. I had a quiet and relaxing night there. I was woken up by the nature sound. The host was helpful. This hotel is value for money, it only costed a little to get a private wood house. 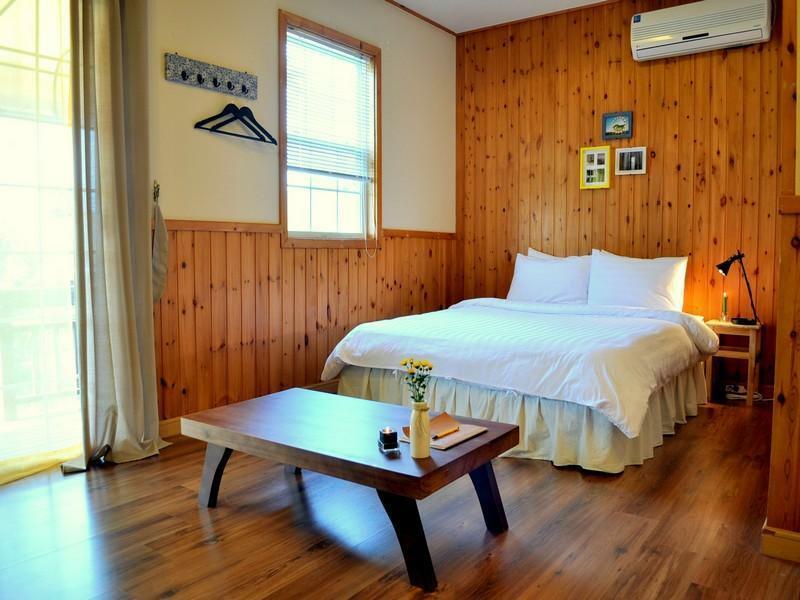 In term of location, it is definitely only for visitors with car as it is far from Jeju city and all sightseeing spots, takes at least an hour drive to these places but we are happy with it as we can enjoy the nice view on the highways. The hotel room itself is nice, tidy and clean. Only one improvement I would suggest is the shower, water runs too weak which is quit unpleasant especially under the cold weather. Except the shower issue, this is a great place for couples & family to stay. I will recommend if any of my friends travel to Jeju in the future. Perfect room equipped with kitchen utensils, comfy ondol room that certainly give u a refreshing morning, you will spend at least hours to enjoy their surroundings with their sweet DIY design. Difficult to locate this pension since the website is only available in korean. If you know korean, you can easily find it in korean navi otherwise please request map/contact number from them beforehand, or approach nearest police station for help like i did. Love this pension though and for sure it will be my 1st choice if i happen to visit Jeju again. Lady boss is chinese literate. 11개월된 조카와 어머니, 동생네 가족들과 함께한 여행이었습니다. 조용하고 깨끗한 숙박 시설이 가장 마음에 들었고 (각 독립된 별채), 친절한 직원 덕분에 이번 숙박이 더 편안하였습니다. 가족끼리 바베큐를 했는데, 시설 준비 및 점검을 잘 해주셔서 즐거운 추억을 만들 수 있었습니다. 다음에 또 제주도를 가게된다면 꼭 다시 이용하고 싶은 시설입니다.